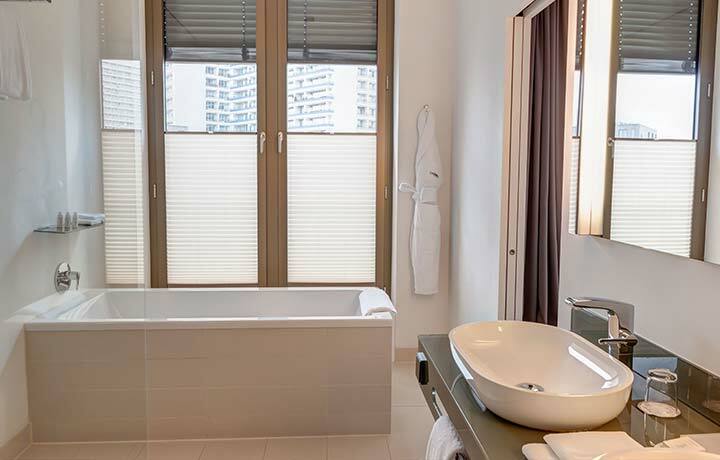 A park view, spacious bathroom with both shower and bathtub are only some of the highlights that the junior suite has to offer. 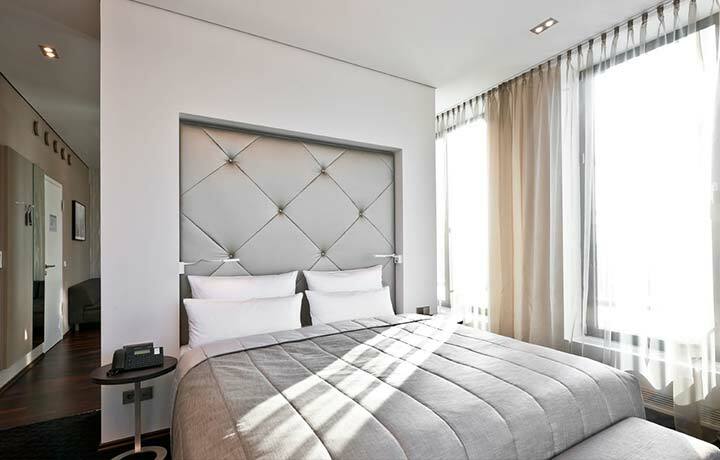 The open layout turns the room into a special environment. 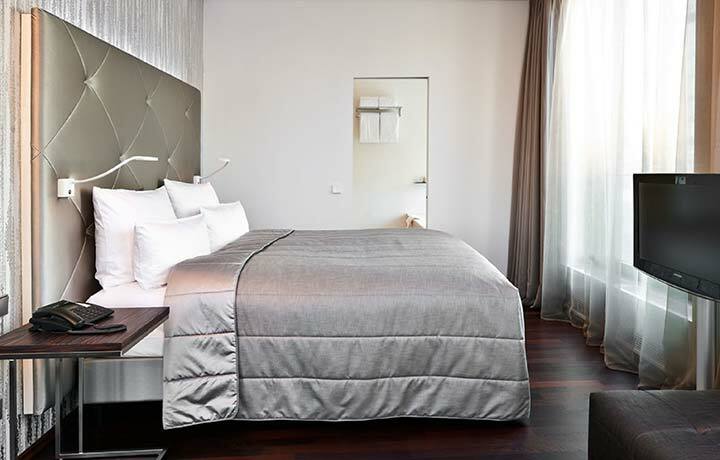 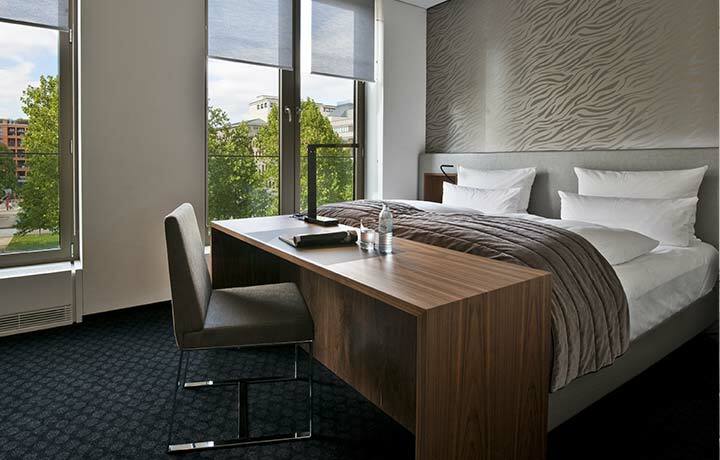 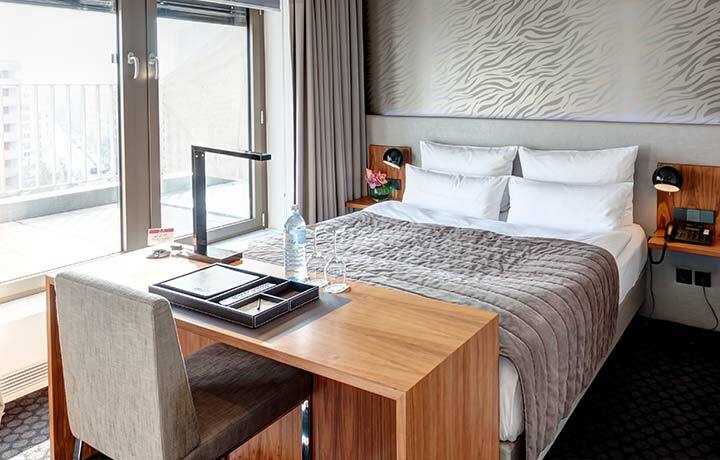 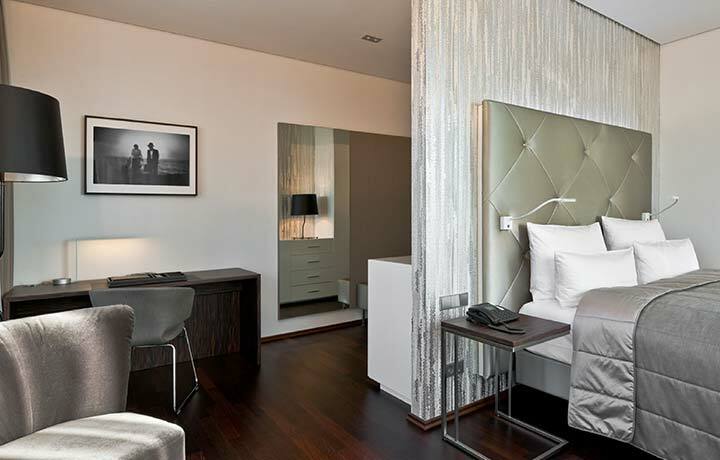 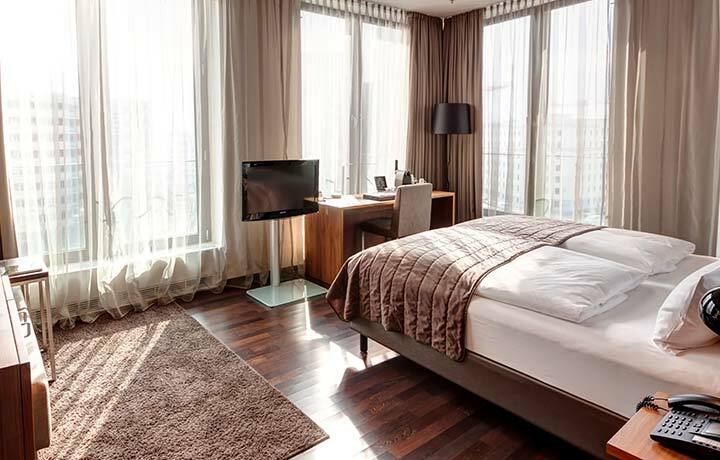 Gaze directly from the king-size bed for a special outlook on Berlin’s urban landscape.